Past CEO, Arkansas Quality Improvement Organization and Past CMO of Northern Arizona Healthcare. Exercise is "The New pill"
Discuss indentification of certain patient that can be treated with Inspire Therapy ( Hypoglossal Nerve Stimulation). Treatment strategies to pharmacologic and non pharmacologic agents. 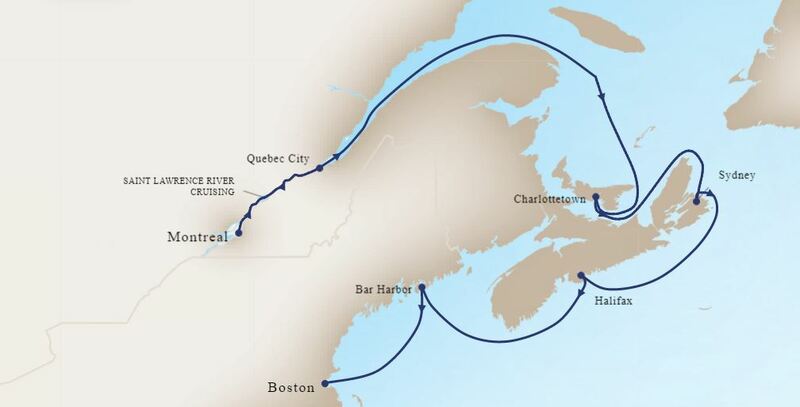 Quebec City, Quebec - Holland America gives you two full days to explore this noble walled city with a French accent. Stroll Old Quebec's maze of cobbled streets, happening upon quaint sidewalk cafes, boutiques and antique shops; tour to Montmorency Falls, higher than Niagara. Gulf Of St. Lawrence - A lighthouse on little St. Paul’s Island is a stark reminder of days gone by as you sail past this infamous old shipwreck site, known as the graveyard of the gulf, on your way through the Cabot Strait and into the Gulf of St. Lawrence. So huge is the gulf that half of Canada’s 10 provinces have a coastal connection to it. Perhaps that’s not surprising, considering that it’s the world’s largest estuary and fed all the way from the Great Lakes 1,200 kilometers (750 miles) away.